Last week’s parks blog started with a look at Chicago’s new 606 trail and related discussions about gentrification and how the project will impact the neighborhoods it passes through. Beth White, Chicago Director for The Trust for Public Land, a sponsor of the project says that the overall goal is “to give everyone a walk in the park and connect people to nature, each other, public transit, and bike trails.” She notes that the Bloomingdale Trail will reunite four ethnically and economically diverse neighborhoods and their 80,000 residents, including 24,000 children that have been separated by the railway since it was built in 1910. But fears have already set in regarding whether the new trail and park system will be so attractive as to raise property values and displace current residents with new housing investment. With a growing deficit of urban parks and the task of improving the quality at existing parks, cities are looking for ways to manage neighborhood investment and development plans, including parks, in ways that don’t disrupt community cohesiveness with gentrification. Just about every major city in the country is struggling with gentrification and affordable housing shortages from Portland, Oregon to New York City. Not only new park-related investments but an aging population, increased racial/ethnic diversity, and residential population shifts can impact the mission and management policies of city park agencies and make ‘keeping up’ with neighborhood socio-demographic and real estate market patterns hard to do. Increasing urban density tends to involve the loss of the last of the “left-over” places like abandoned rail lines, industrial waterfronts and brownfields – often redeveloped for parks and trails – leaving the heretofore unknown neighborhoods surrounding them to deal with all the market related impacts of this sudden private and public investment. I took a look at a few cities to see what kinds of initiatives they are looking at to manage what happens when parks collide with market forces. The Portland Oregon Metro region has been trying to find ways to link investments in parks with permanent investments in affordable housing. 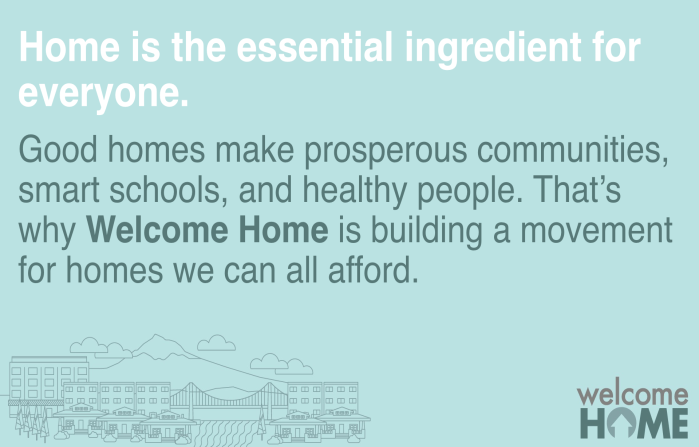 Affordable housing advocates are focusing on securing more ongoing, sustainable solutions through the Welcome Home Coalition, a cooperative of 51 organizations working together in an effort to secure a dedicated revenue source for affordable housing. Their goal is also to play a larger role in managing public investments in neighborhoods. Jennifer Wolch, Dean of the College of Environmental Design at UC Berkeley says that as inevitable as this process of “eco-gentrification” might seem, it doesn’t have to be. Wolch and some research collaborators who’ve tracked the trend recommend an intervention they call “just green enough”—a delicate balance of sustainability and equity. But Wolch’s ideas are controversial and have met with resistance from park advocates who argue that the solution is not to “dumb down” park design but to build enough housing and to ensure affordability to avoid displacement. Eleventh Street Bridge Park, in Washington, D.C., is still in the planning stages; construction isn’t expected to begin until 2017. Even at this stage, though, the organizers are considering how it will transform the surrounding communities, especially since—like the Bloomingdale Trail—it will connect economically disparate neighborhoods. And so they’ve created an equitable-development task force to guide programs and policies in order to avoid displacement, focusing on affordable housing, workforce development, and small business enterprises. Many cities around the country are using community benefit agreements to solidify their bargaining ability and control over new investment. A community benefit agreement (CBA) is a contract signed by community groups and a real estate developer who proposes a new investment that requires that developer to provide specific amenities and/or mitigations to the local community or neighborhood. In exchange, the community groups agree to publicly support the project. 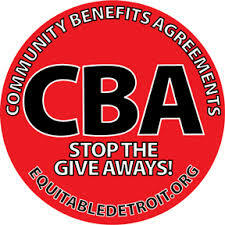 CBAs are seen as a way of ensuring real benefit to the neighborhood especially when public subsidies – tax abatements, investments – are being offered by the city. Detroit is looking to become the first city in the country to require that developers invite community members to the table when negotiating megaprojects. City council is working to pass a new community benefit agreements ordinance; a bill in the state house is trying to block the city’s efforts which some see as a way of getting around state wage rules. With the Obama presidential library set to come to either Jackson or Washington parks in Chicago, a local group there is seeking help in crafting a proposed CBA to ensure local residents and businesses are not displaced by the possible gentrification that could come with the project. The collective’s seven-point vision for the CBA includes requirements that the library and foundation support the creation of new business, create legal protections against displacement of residents and create a community impact fund. Incentive-based zoning is also being used by cities that provide developers with rewards like density bonuses, greater height or floor-area allowances, or parking space reductions, in exchange for meeting certain public benefit objectives – like affordable housing, transit or parks. New York City may have pioneered this technique in its 1961 zoning ordinance revision, when it allowed extra floor area to office buildings in return for developers creating public plazas around the base of these buildings. But incentive zoning will only produce a public benefit though if the market can absorb the increased density easily and isn’t a fit in every neighborhood. In California as of January 1 of this year, the legislature has approved the use of Enhanced Infrastructure Financing Districts (EIFDs) a new tax-sharing law that local Los Angeles River advocates hope to use for creating a recreational corridor along the river. 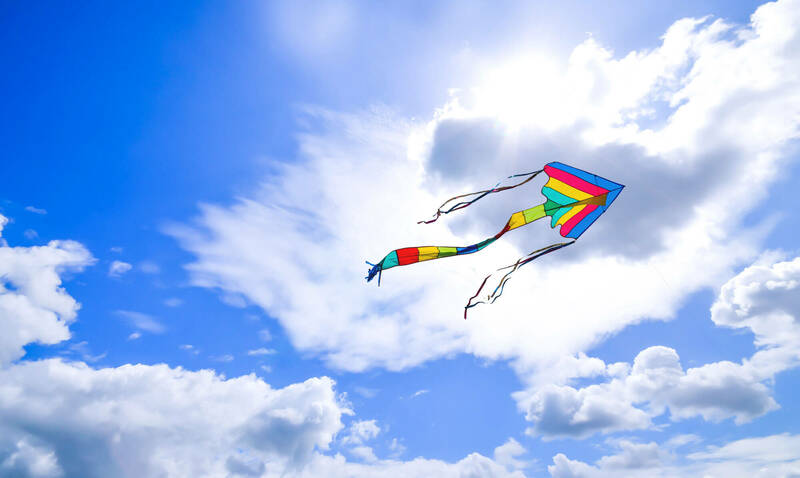 The master plan calls for parks and bike paths, wildlife habitat for animals, and the likely neighborhood economic revitalization that will follow up to $5.4 billion in new development and 18,000 new jobs. The idea behind the EIFD proposed for the Los Angeles River is that the people who live and own property in the surrounding neighborhoods will benefit through public investment. Not surprisingly, community engagement is everything in making any of these tools work – and may be part of the reason that the field is ripe with new tools as some argue that public planning efforts have not resulted in enough robust community engagement. The CBA model was created in the late 1990s as a way for the communities most impacted by economic development projects to participate in the planning process. But CBAs – the right idea of bringing existing community members to the table when major neighborhood investment is at stake – are not without controversy. Professional planners argue that there is no way to ensure that the ‘community’ is truly represented in a CBA and that it cannot be a substitute for a true community engagement effort in local planning. Four CBAs negotiated in New York have been criticized as lacking strong inclusive community participation and being a means for working outside the city’s comprehensive plan. Other CBAs create problems for cities when privately negotiated agreements conflict with local zoning and masterplans. One more tool on the rise for assuring community engagement in a neighborhood planning process – and managing the various public investments in parks and housing, for example – is the rise of public benefit corporations. Brooklyn Bridge Park in New York City and the Hemisfair project in San Antonio are two examples. The Brooklyn Bridge Park is a public park run by the non-profit corporation, the Brooklyn Bridge Park Corporation. The 17-member board of directors is appointed by the city and works closely with the New York City Department of Parks and Recreation. Its mission has been to plan, construct and maintain the park – including using the construction of housing on a portion of the parkland to sustain the park’s operations. The public corporation behind Hemisfair in San Antonio works much the same way. 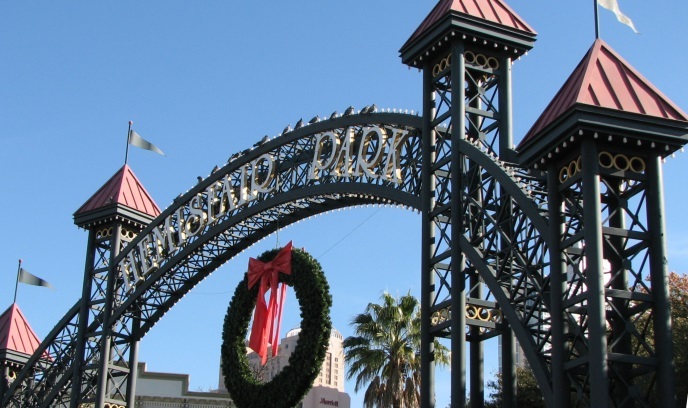 The San Antonio City Council set up the Hemisfair Park Area Redevelopment Corporation (HPARC), a 501(c)3 non-profit, in 2009 to transform the Hemisfair site into a series of urban parks embraced by a vibrant and walkable neighborhood. HPARC is run by an 11-member volunteer Board of Directors approved by City Council. Residential units in various building types, densities, and heights will be constructed at Hemisfair, but never on parkland, and will include a component of mixed-income housing. 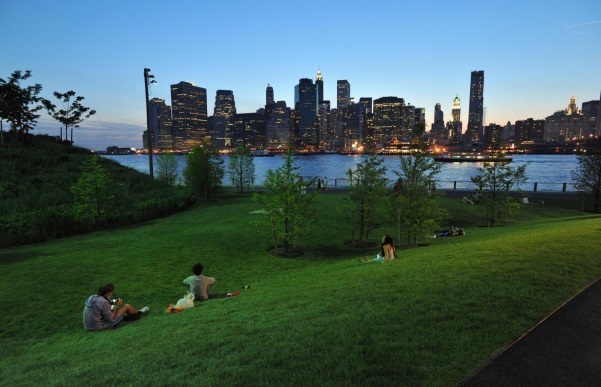 Both Brooklyn Bridge Park Corporation and Hemisfair Park Area Redevelopment Corporation are examples of an effort to link parks and other public benefit investments with public and private investments in housing in such a way as to preserve or create the kind of mixed-income community that can support the park. The bottom line in planning for new and revitalized public parks is that in order to ensure that parks are not exclusive they must be considered as another critical part of a city’s infrastructure, like water, sewer, schools and transportation. Cities have to find ways of including and involving community residents in the conversation about neighborhood transition – whether through public benefit corporations, infrastructure districts, and community benefit agreements or planning department sponsored small area planning discussions. Because cities never want to be the position of saying no to a new park because of the socio-economic impact it might have. Let’s hope the folks in Chicago working on the 606 make sure that the park project serves those who need it the most.